It's hard to come to Italy and not have comfort, style and design on your mind. 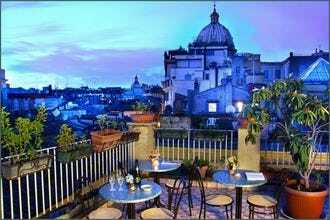 The same goes for when you're thinking of booking a boutique hotel and Rome certainly boasts an eclectic mix to choose from. Unlike big chain hotels, boutique accommodations offer the perfect balance of intimacy and attention to detail. 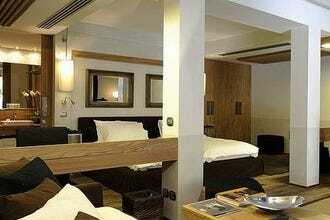 The size of these hotels really differs, ranging anywhere from just a couple of suites to even 100 rooms. 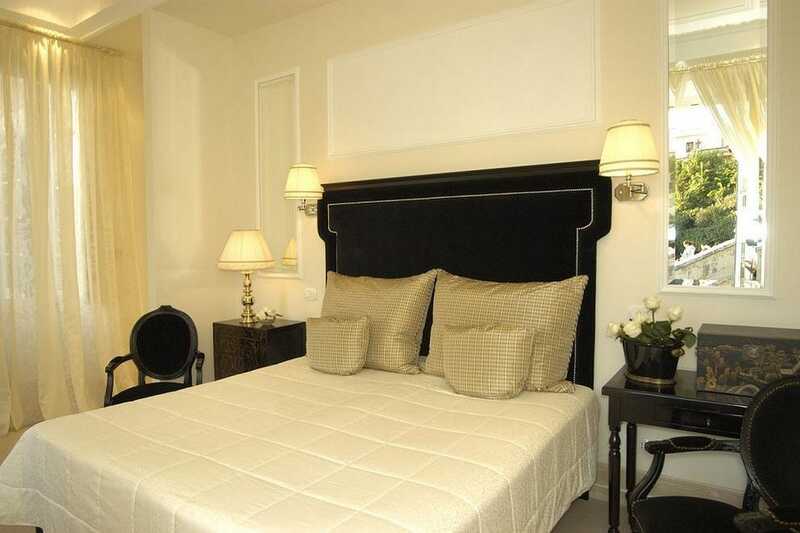 A boutique hotel is often more appealing to travelers because of its unique style, decor, amenities and the services they have on offer. From haute couture fitted sheets and elegant furnishings to personalized concierge services and VIP tickets to exclusive shows and exhibits, if you're searching for the real dolce vita in the Eternal City, then look no further - 10Best has summed up a list of top-notch boutique hotels that raise the bar on luxury lodging. 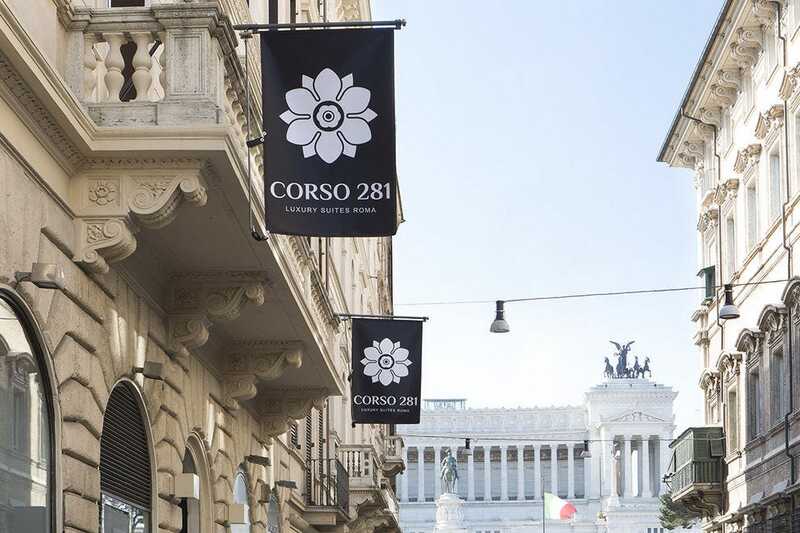 Right in the heart of the city, you'll find the stunning design property Corso 281 Luxury Suites where nothing seems to be too much for their staff to handle and then there's the elegant Palazzo Manfredi which features a rooftop restaurant with the best-unobstructed view of the Colosseum. For art aficionados think The First Art Luxury Hotel and for stylish art-deco features, you can't go past Palazzo Dama Hotel. When it comes to upscale boutique accommodation, Rome offers something to suit all tastes and budgets and here are 10 of the very best. After a whirlwind shopping spree down Rome's ritziest street (a designer shoppers dream come true!) Via dei Condotti, the perfect place to drop your bags and rest your pretty little head is the Inn at the Spanish Steps. This boutique hotel was created by the owners of the famed nearby caf--, the historic Caff-- Greco, in the very apartment where Hans Christian Anderson once lived. 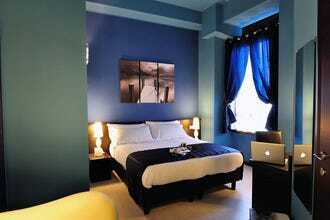 The rooms are tastefully fitted with fine wood floors, elegant drapes and sculptures donned about. Book a superior room and some of the amenities include a jacuzzi, fireplace and either frescoed or wood-beamed ceilings. 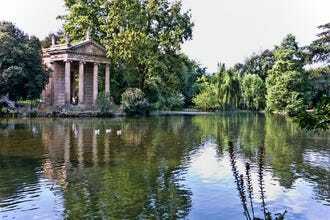 METRO: Spagna. 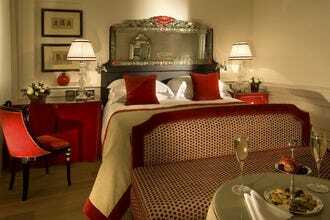 If you've got fashion on your mind when booking your hotel stay in Rome, look no further than Portrait Suites. 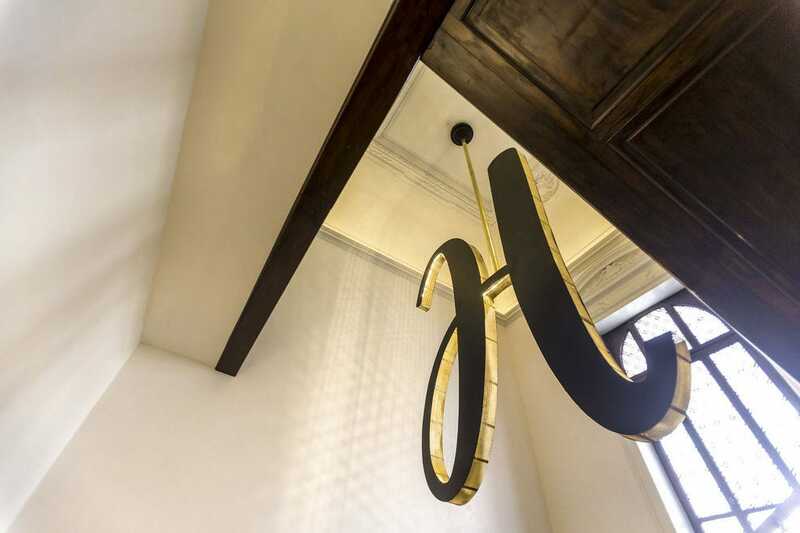 The luxury townhouse hotel was designed by none other than the Ferragamo family themselves. It's situated just above Ferragamo's flagship store and conveniently close to Via dei Condotti, a fashionista's dream come true. The rooms are contemporary and chic with black wood paneling, simple grey hues with pictures and sketches of what else, shoes on the walls. The rooftop terrace offers guests the chance to wind down with a glass of wine whilst taking in the breathtaking views of the Roman skyline. METRO: Spagna. The Fortyseven Hotel is one secret that we just can't keep. 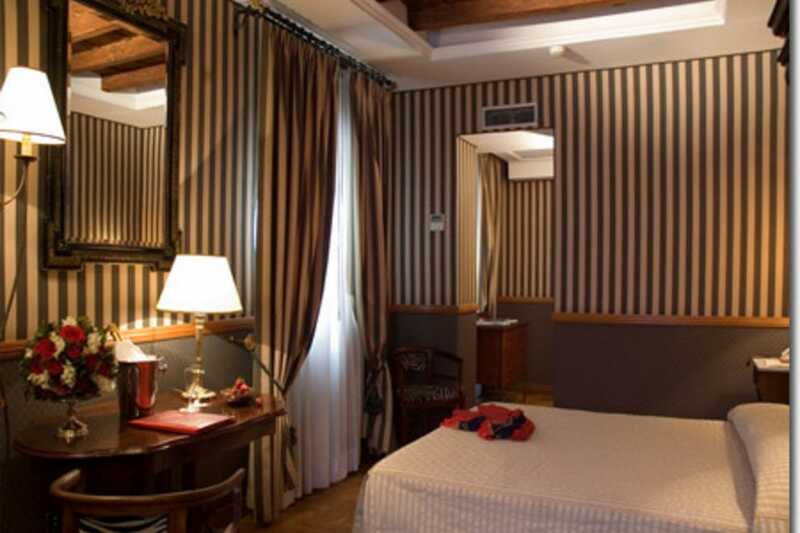 This stylish and smart boutique hotel has about 61 rooms and is located near sights such as La Bocca della Verit-- (Mouth of Truth), Circus Maximus and the Vittoriano monument in Piazza Venezia. 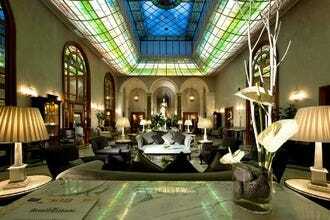 It's one of the few Art Deco hotels in the heart of the centro storico. Luxury amenities include spa facilities, a gym, flat screen TVs, spacious rooms, free WiFi and even a Nespresso coffee machine. 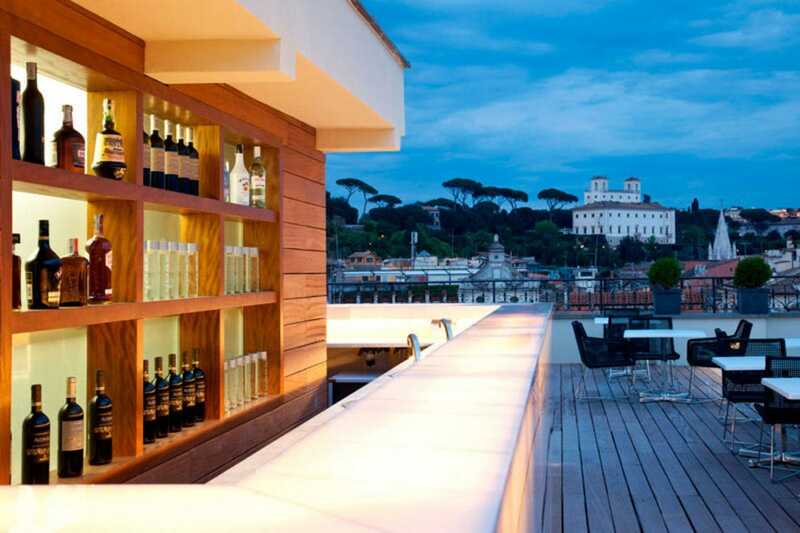 Upgrade to a suite and you'll be pleasantly surprised by a terrace with splendid views of Rome. Prices here are also rather reasonable compared to other boutiques in the centro. BUS: 170, 80. It's prime location (just behind Piazza Navona) and its gorgeous facade have often made this hotel a hot spot for movie backdrops. The front of the Hotel Raphael is draped in Ivy. 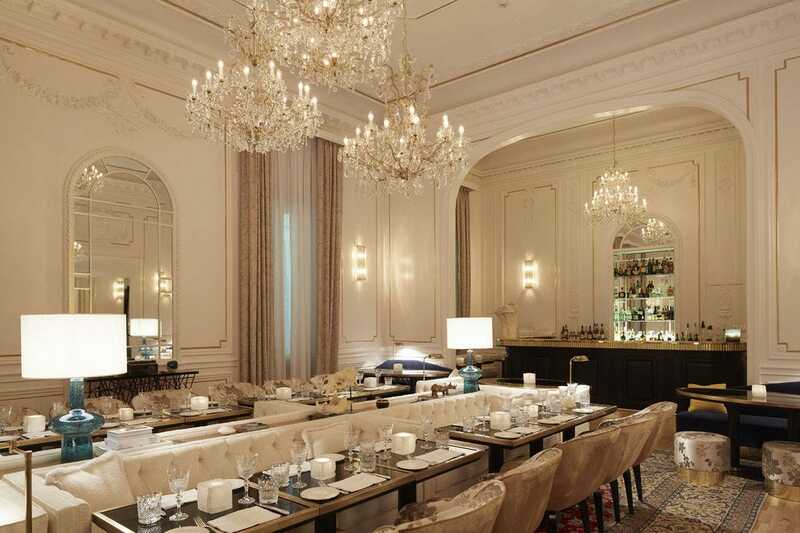 While the interior is much like an art gallery with paintings, busts and lithographs scattered about the main lobby. 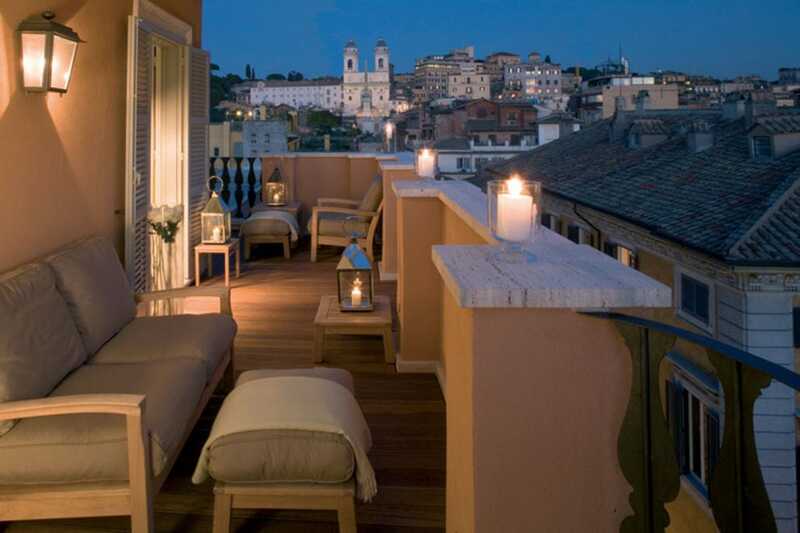 A pleasant spot to wind down the day with a glass of wine is on the hotel's rooftop terrace where one can take in the stunning view of the Chiostro del Bramante. Two floors were recently revamped by the famed American architect Richard Meier, also responsible for the Ara Pacis and the Giubileo church in Rome. BUS: 40, 492, 30, 87, 81.